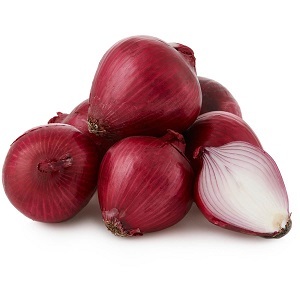 In order to fulfill the different demands of our customers, we are offering BIG RED ONION. The offered onion is cultivated by our qualified team members in our huge fertile fields. We make use of high quality seeds and proper irrigation methods to obtain healthy onions. The offered onions are used as ingredients for cooking and processing food items, therefore demanded by hotels, homes and food processing industries. The Big Red Onion is hygienically processed before delivery to ensure the satisfaction of our customers. The onion (Allium cepa) also known as the bulb onion or common onion, is used as a vegetable and is the most widely cultivated species of the genus Allium most onion cultivars are about 89% water, 4% sugar, 1% protein 2% fibre and0.1% fat. They are high in vitamin C, Vitamin B6 and folic acid and are a good source of dietary fibre. They are very low in fats and in sodium, and with an energy value of 166kj (40 kcal) per 100 (3.5 oz) Serving, they can contribute their flavor to savory dishes without raising the calorific content to any great extent. Onions are rich in sulphur, fibers, potassium, vitamin B, vitamin C and they are low in fat, cholesterol and sodium.